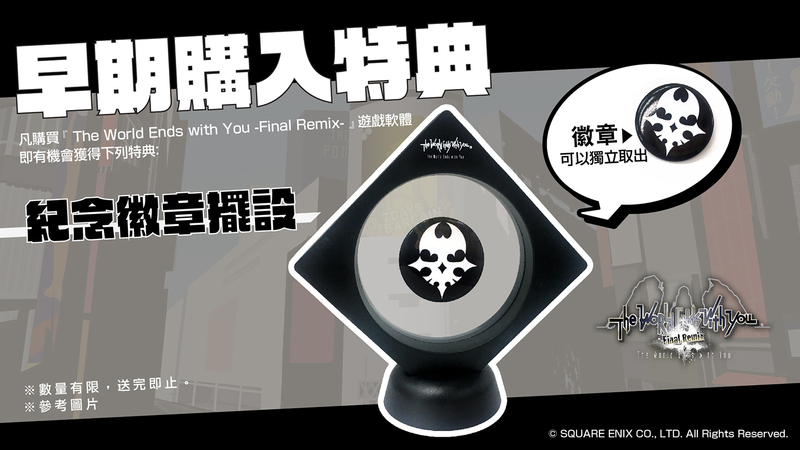 Nintendo Hong Kong has announced the pre-order bonus for The World Ends with You: Final Remix for Hong Kong and Taiwan. All pre-orders for the game will come with a special badge. The badge is enclosed inside a stand and can be taken out. Nintendo Hong Kong also reconfirmed The World Ends with You: Final Remix is playable in Chinese and will arrive on October 12, 2018 (same day as the western launch).